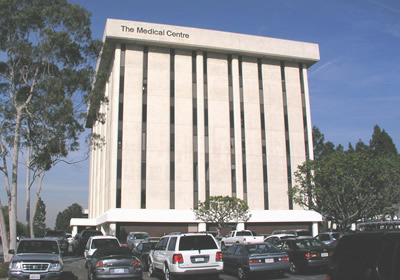 The office for Dr. Gerlach is located in Torrance, California directly across from the Little Company of Mary Hospital. The office is equipped for both non-surgical and surgical treatment of aging. The surgical suite is accredited by AAASF and is a full operating room offering general anesthesia. While most procedures are done in the office, Dr. Gerlach is also associated with Little Company of Mary Hospital and Torrance Memorial Medical Center. Non-surgical treatments of aging offered at his office include dermabrasion, peels, Botox, Fillers (Restylane etc), skin care products, laser hair removal and post-operative wound care including camouflage techniques as well as other specialized treatments. Dr. Gerlach and his staff are deeply committed to providing the best possible care in an efficient and professional atmosphere. We understand that the decision to pursue cosmetic surgery is an important one. From your first call to our office we will make every effort to deliver the highest quality care. During your private consultation we will review your concerns and discuss options for improvement. Once you've made decision to pursue surgery, we will arrange a convenient date for you to have your procedure. Because we believe so strongly in good communication between doctor and patient we like to set up a second consultation for a comprehensive pre-operative visit in which your procedure is reviewed in detail and all inclusive screening lab tests are performed. Thorough pre-operative and post-operative instructions will be explained and prescriptions given. The recovery process will be explained in-depth. We will also answer any questions that you may have regarding your procedure. On the day of surgery, you will be welcomed to the surgical facility and made to feel warm and comfortable. You will meet other members of our cosmetic surgical team who will discuss your care with you. Your surgeon will also see you again to review your case. The operating room is our sanctuary where total focus is on you and creating the most beautiful result in an artistic natural way. Once your surgery is completed, you will awaken in the recovery room and will be cared for by our surgical nurses until ready you are ready to go home. After you have returned home, you will be contacted by phone to answer any questions you might have. You will be seen in the office during the first week after your surgery for the beginning of your post-operative care and recovery. Every step of the way we are here to assist you and keep you well informed. Your follow up care includes lifetime post-operative appointments to assure that your results have met your expectations. We love our work and are dedicated to superior results in a safe and comfortable setting that allows us to focus on you. The advances in plastic surgery have improved recovery time for virtually all cosmetic procedures. Small incisions, advanced technology and new intra-operative anesthesia techniques all contribute to a more rapid recovery. By employing gentle handling of the tissues during surgery and attentive post op care, we limit swelling and bruising. This reduces healing time and allows patients to recover quickly, allowing them to return to work and other activities faster. Payment for cosmetic plastic surgery is due in full at the time of your pre-operative visit, which is about two weeks before surgery. We provide a number of payment options which may be used individually or combined according to your wishes. Personal check, cashier's check or cash is accepted. We will be happy to assist you with applying for financing should you so desire. However, we do not handle any financing "in house". Because we are primarily a cosmetic surgery practice, we are not providers under any insurance plan. Payment for all surgery is paid by the patient in advance. We will be happy to assist you in seeking reimbursement from your insurance company, as a courtesy.